Visitors to local restaurants along our Big Bend Gulf Coast (and inland, too!) are often intimidated when a large plate of steamed blue crabs arrives at their table. Sometimes they’re accompanied by nutcrackers and hammers, but for the most part, getting to the “meat of the matter” is simply a hands-on operation. 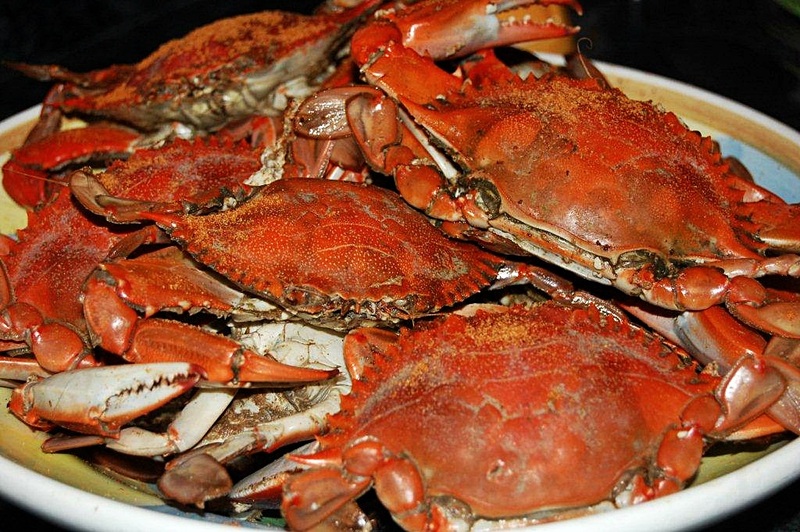 When you order hard shelled blue crabs, it means you get the whole, steamed crab, which can be a potentially dangerous food item that must be approached with skill and care. There is a science to eating them. 1. With the crab upside down, grasp the legs on side firmly with one hand, and with the other hand lift the flap (apron), pull back and down to remove the top shell. 2. Turn the crab right side up, remove the gills and wash out the intestines and spongy material. 3. With a twisting motion, pull the legs loose from the body. Remove any meat, which adheres to the legs. Break off the claws. 4. Slice off the top of the inner skeleton and remove all exposed meat on this side. 5. At the back of the crab on each side lies a large lump of meat. With a very careful U-shaped motion of the knife, remove this back fin lump. 6. Remove the white flake meat from the other pockets with the point of the knife. 7. Crack the claw shell and remove the shell along with the moveable pincer. This will expose the claw meat and, if meat is left attached to the remaining pincer, will make a delicious “crab finger”. 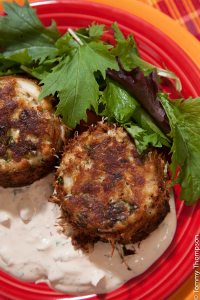 Other options for blue crab meat are soft-shelled crabs and crab cakes. The advantage to soft-shell crabs is that you eat everything, usually on a sandwich. These carefully-watched, post-molting crabs are simply delicious and usually pricey. And they’re not available at all restaurants. On the other hand, crab cakes are usually served as an entree and allow you to enjoy nothing but pure crab meat. 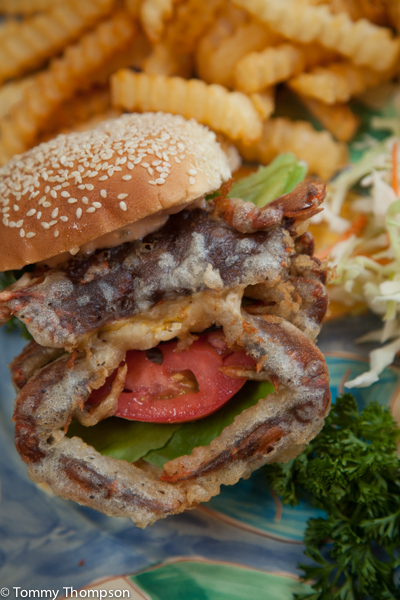 Don’t get “creeped out” when a whole soft shell crab arrives at your table. Just eat the whole thing!